The sleek design of the GEL Quantum 360 Knit 2 delivers fantastic ventilation and flexible support – ideal for going that extra mile. The snug, revamped seamless knit upper provides great ventilation using ComforDry technology to keep your feet dry and comfortable, working with the Exoskeletal Heel Clutching System to prevent foot slippage when on the move. 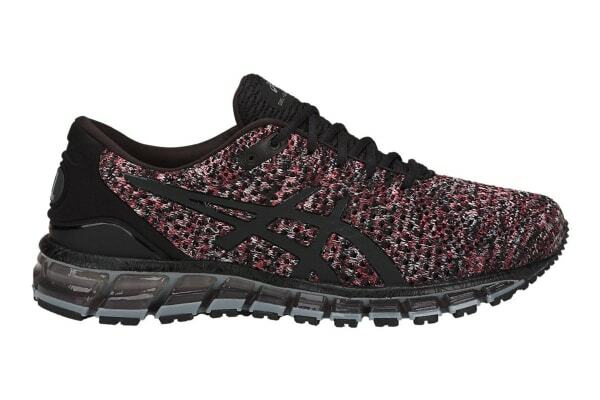 Get maximum shock absorption from the rearfoot and forefoot GEL cushioning systems and reliable traction from the ASICS High Abrasion Resistance Rubber outsole tread – even on wet roads.